GCDC is almost here, the 4th Annual Great Cloth Diaper Change (GCDC) is scheduled for Saturday, April 26th at 11am (local time). 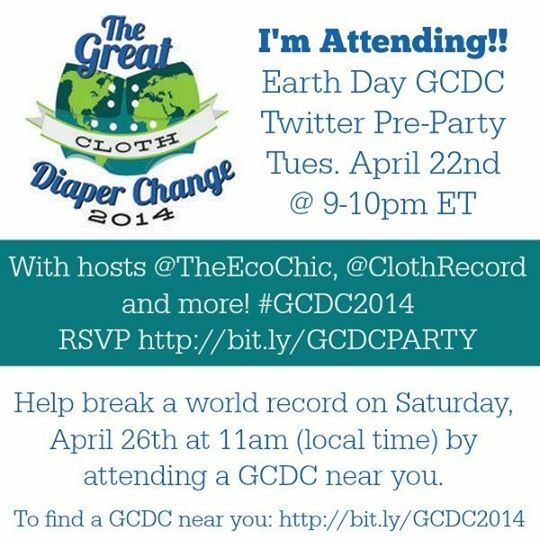 To help build up some excitement about the Guinness World Record setting cloth diaper change The Eco Chic and friends have decided to host a special Earth Day GCDC Twitter Pre-Party to celebrate and get the word out about the local GCDC events in your area. Green Team is a proud sponsor and we hope to see you all tweeting during this great twitter party! If you’re interested in winning, please make sure to visit The Eco Chic and RSVP to be eligible to win great prizes. This entry was posted in Blog and tagged events, great cloth diaper change, twitter party. Bookmark the permalink.